Vauxhall is offering a year’s insurance-free motoring to all new pre-facelift Corsa* customers this month, topped up with a range of attractive finance deals and zero-deposit offers on 11 reg Corsas. Customers can choose between a number of Vauxhall finance deals including a three-year zero per cent finance deal or a supported personal contract hire plan, where a Corsa SXi costs £195 a month with a £575 deposit. The offer is available on pre-facelift Corsas, on trim levels including Exclusiv and SRi. For drivers after a higher spec, a limited edition Corsa** could be theirs for £348 a month on a zero per cent deal. Young Corsa drivers will really benefit from the deal, saving up to £2,300 a year on insurance, and spreading the cost over three, interest-free years. For example, a Corsa S offers a three-year zero per cent finance option with no deposit and free insurance for one year. 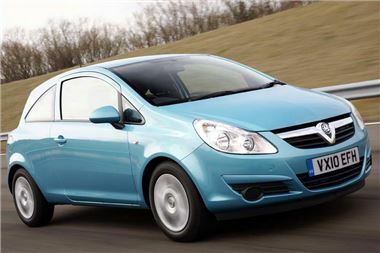 So, choose an S model Corsa*** and pay only £324 per month. These new Vauxhall offers come as the rising cost of car insurance puts increasing pressure on motorists, especially young drivers who have seen a 51 per cent rise in insurance over the last 12 months. *Free insurance is limited to petrol engines only except 1.0i. Expression and VXR trims are also excluded from this offer.